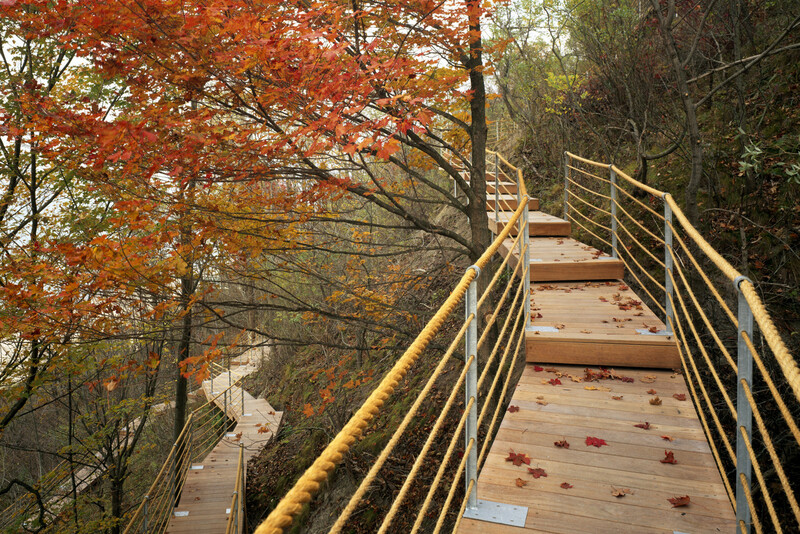 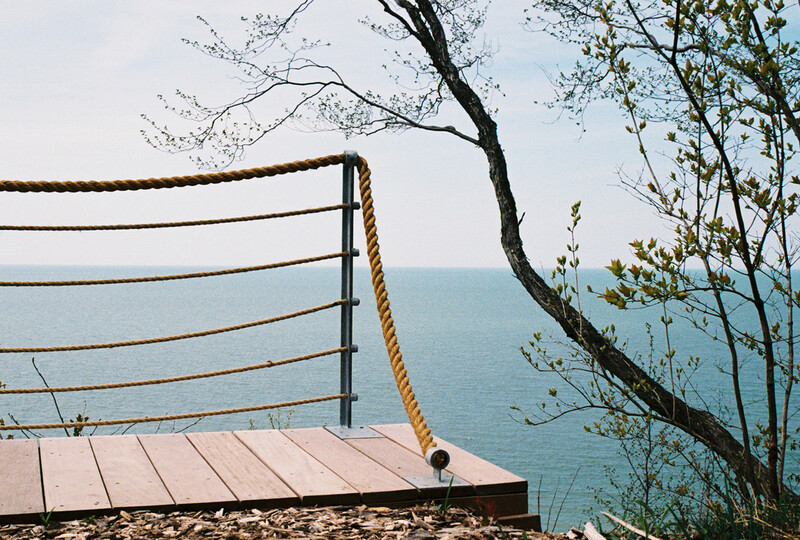 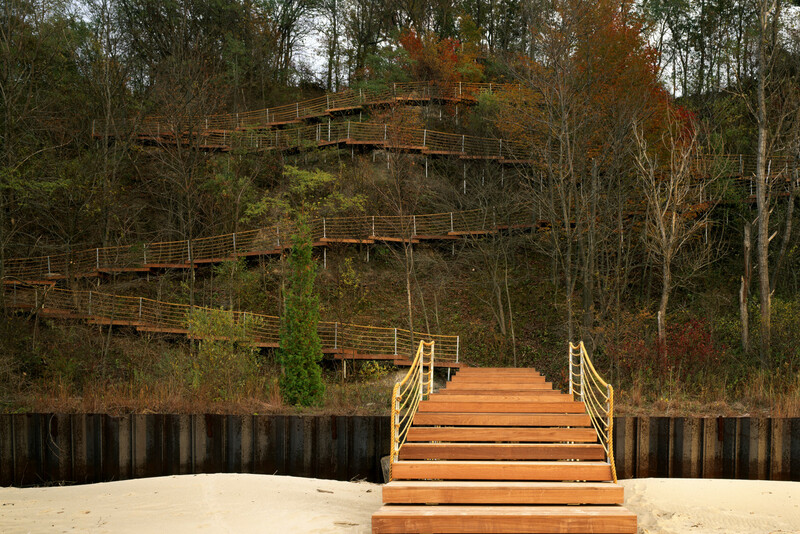 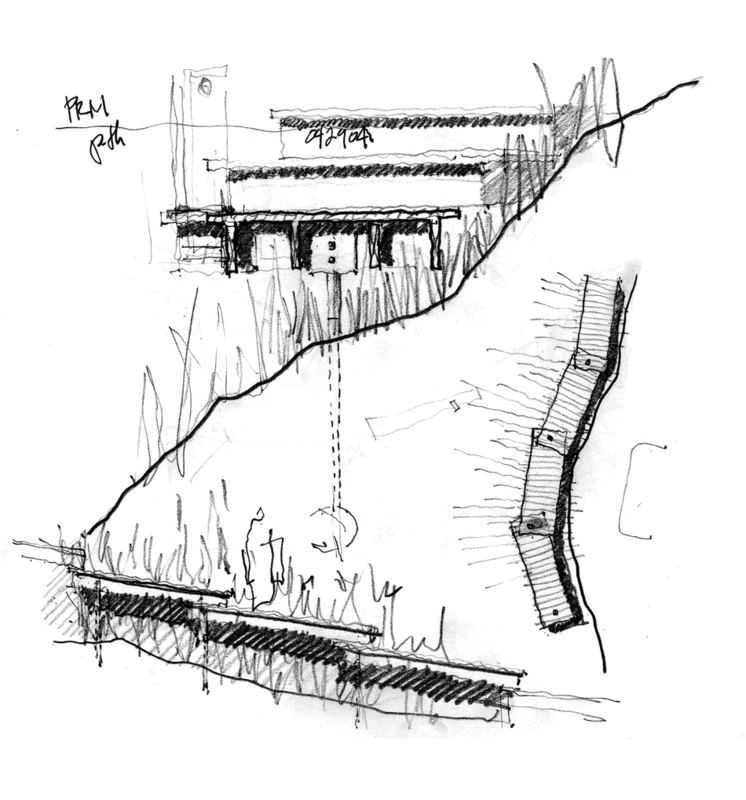 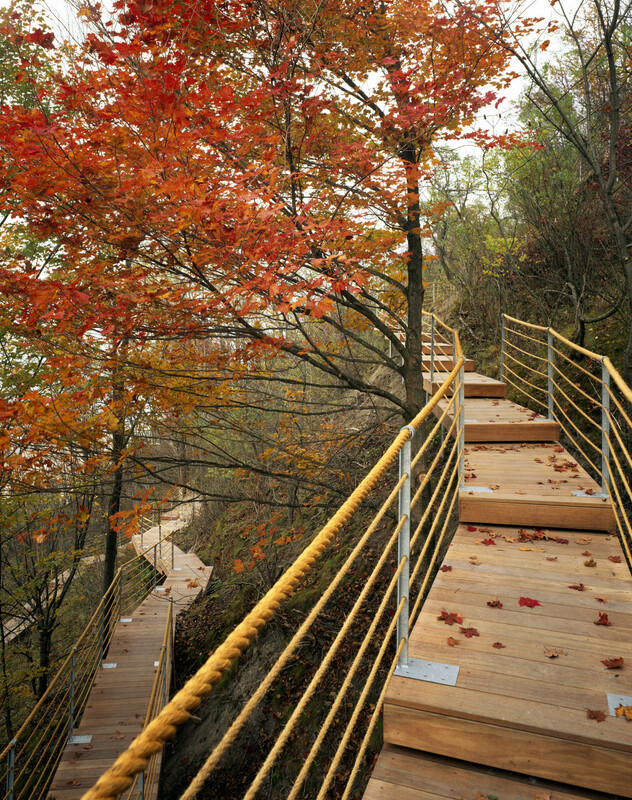 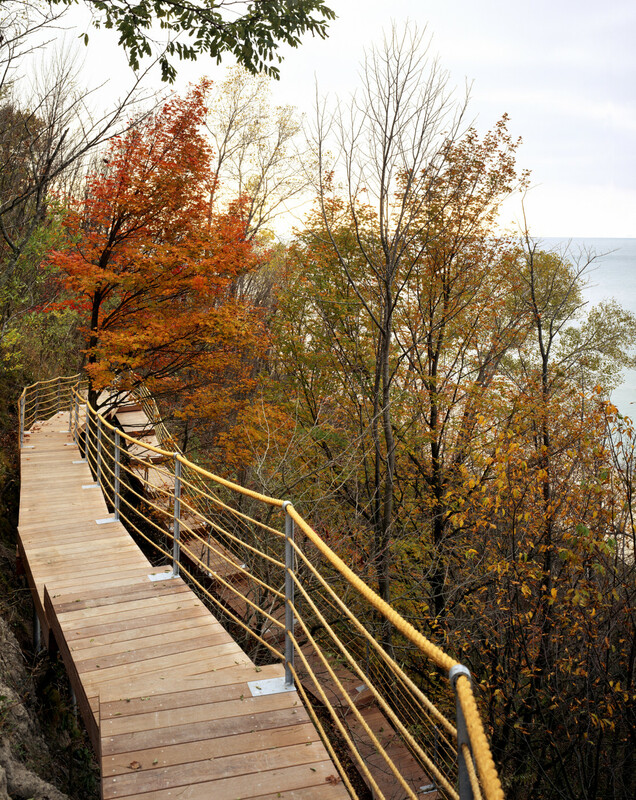 On a bluff overlooking Lake Michigan, a path consisting of 100 – 3 foot x 8 foot pallets was designed to traverse the 100 foot vertical by 100 foot horizontal distance between the top of the bluff and an existing seawall. 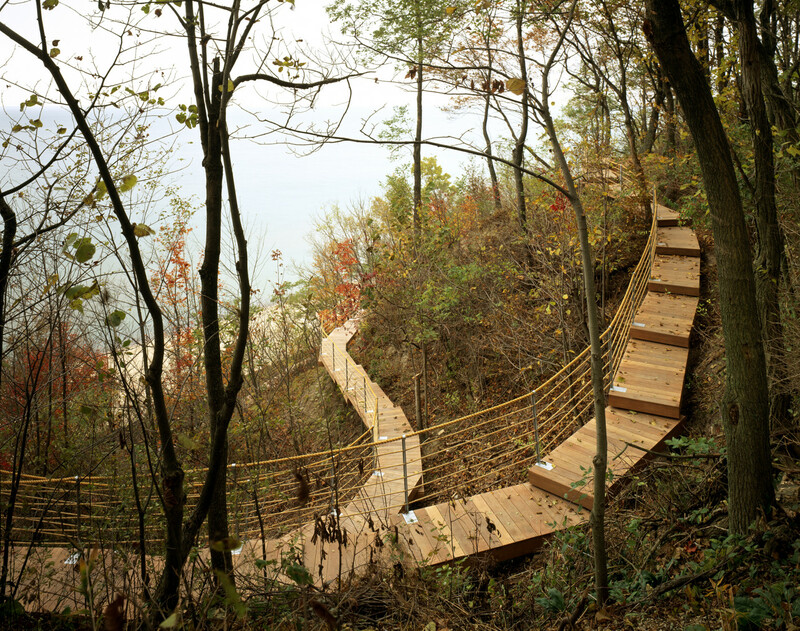 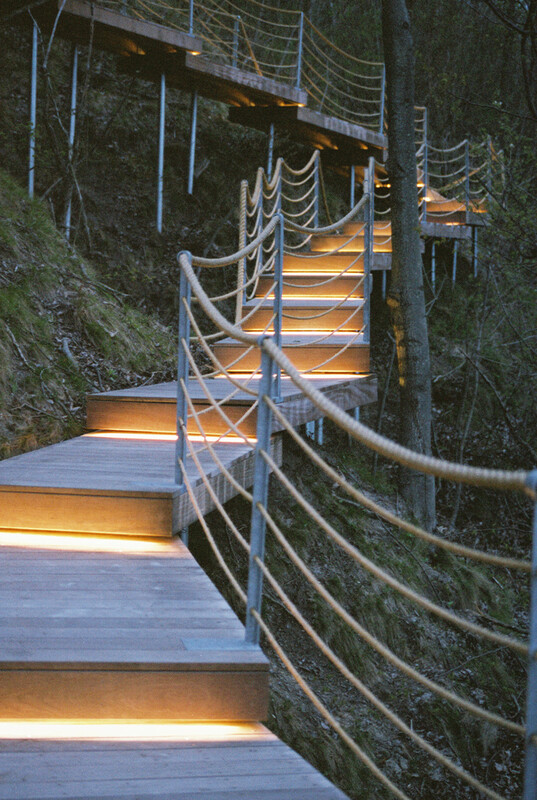 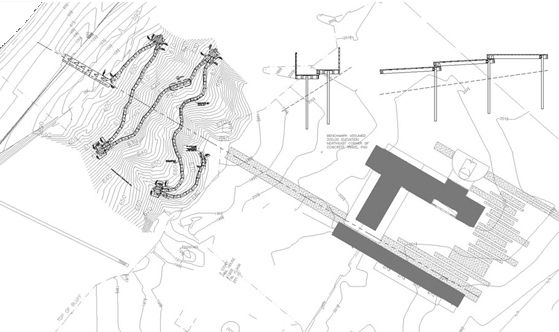 In following the existing topography the path becomes part of the landscape. 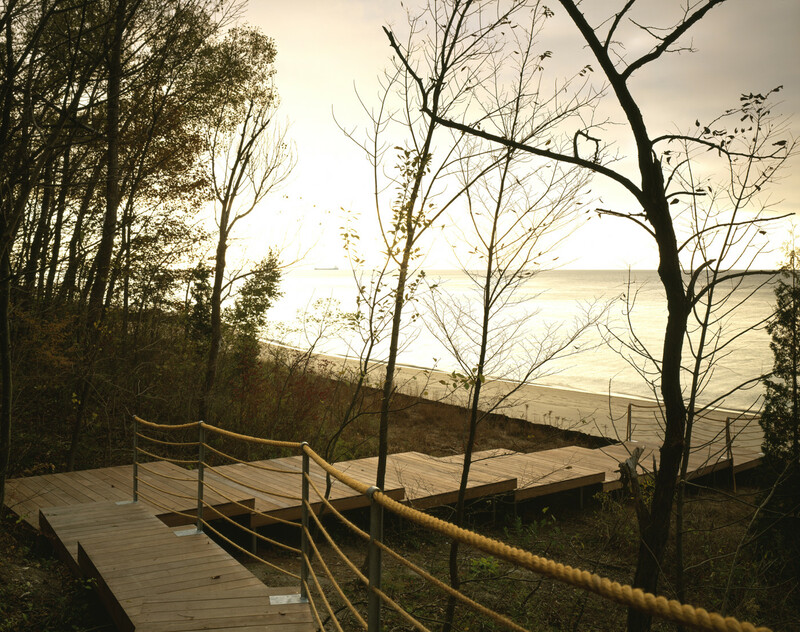 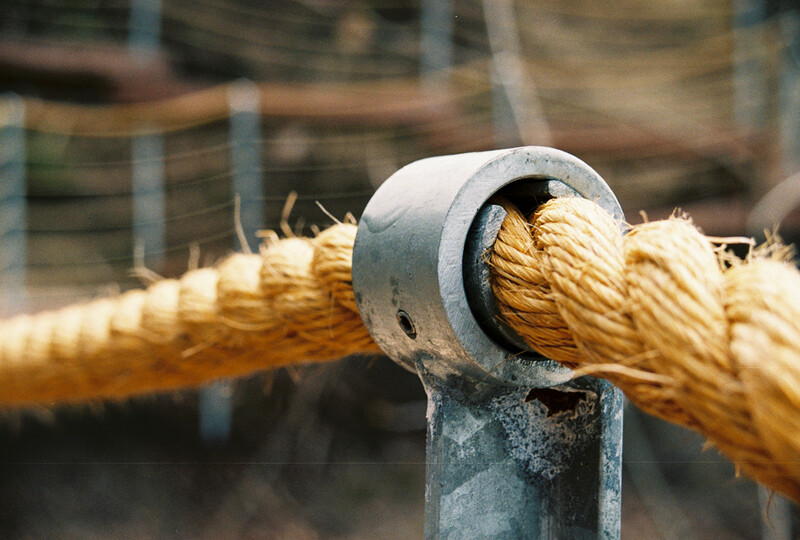 Each pallet, assembled off site with pressure treated southern yellow pine and cumaru, is supported by a 3″ diameter galvanized post and modified clamp. 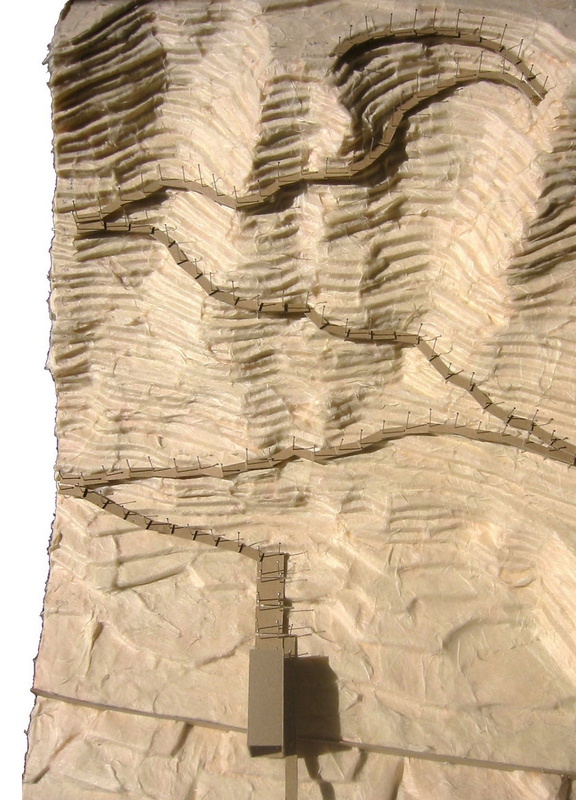 With minimal imposition on the landscape, the path is intended to accommodate the continued movement over time of the inherently unstable bluff without catastrophic failure. 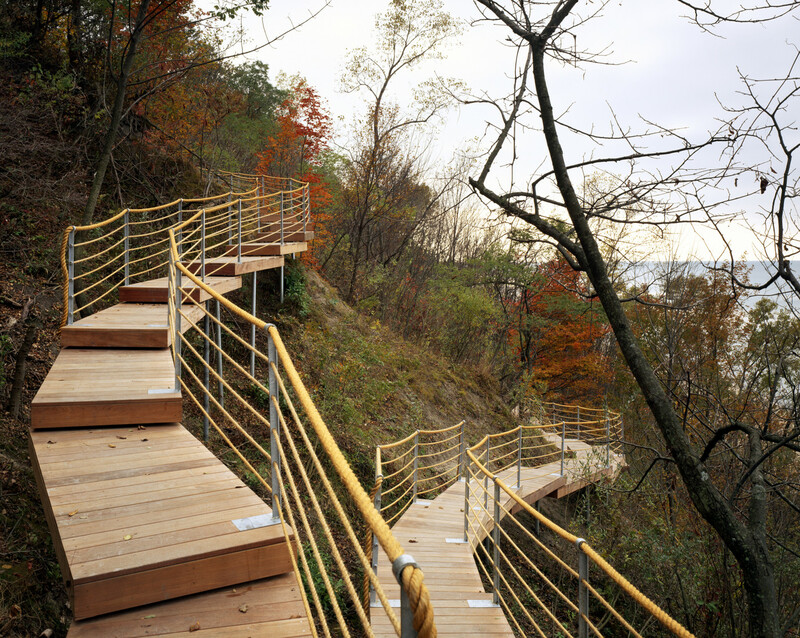 The lightweight wood assembly provided flexibility in the field to adjust to site specific conditions. 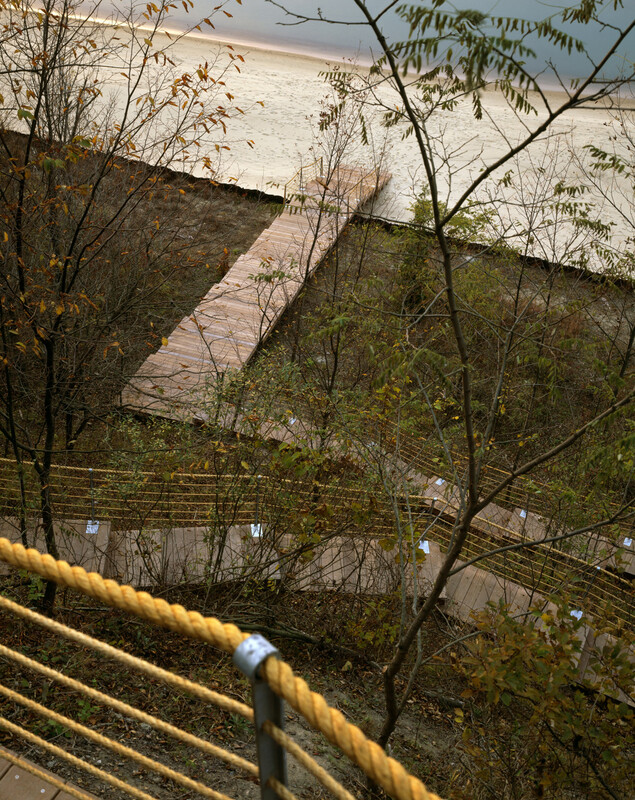 The cumaru will remain unfinished to minimize maintenance and allow the path to become less conspicuous and continue to recede into the landscape as it weathers.